As part of the course History of Ideas, MIUC students have explored how humans have become aware and controlled their environment. In the class on space, we discussed the colonisation and conquest of space on Earth and finished that week’s discussion with an exploration of outer space. 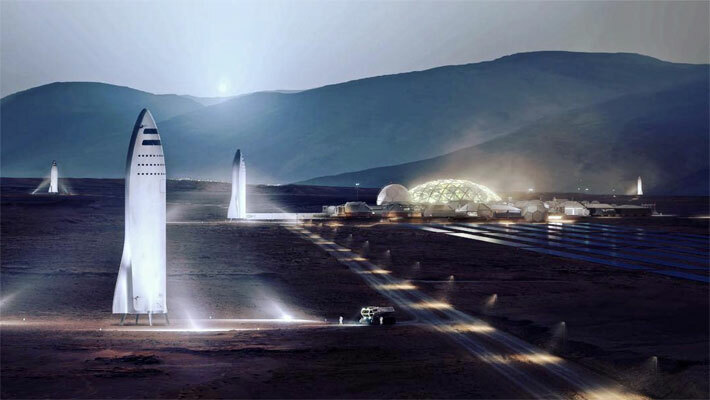 The near future will be particularly dedicated to the exploration and controlling of the Moon as an outpost, resource colony, and launchpad. In early 2019, China has landed a mission to the far side of the Moon. The next decades will see an incredible rush of missions to space, and specifically to the Moon. Why? Because the Moon itself is rich in minerals. And it is the ideal base for us to send missions to other planets. But don´t expect humans to do this, robots will; it´s cheaper and safer! If you think about a Moon base, you probably imagine astronauts hopping around the Moon, travelling in a buggy, like in the famous Moon Landing pictures. This is a common perception of Earth´s rocky cousin. 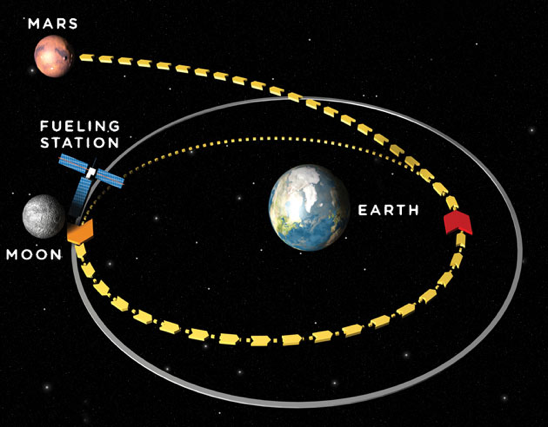 It turns around the Earth at 3,683 Km per hour. But, that is nothing compared to the speed at which Earth rotates around the sun. Right now, you are moving, along with everyone on this planet and along with the Moon dragged behind us, at around 107 km per hour. Reaching the Moon is no easy task in itself; especially because the Van Allen Belt protects the Earth and Lower Orbital objects such as the International Space Station from most of the Sun’s radiation and solar flares- which can be devastating to humans and robotics alike. Getting to the Moon means getting past a large portion of space, an average 384,000 kilometers. On the other hand, the Moon is by far the closest, and most manageable body in our solar system for colonisation. The distance to Mars, for instance, is 54.6 million kilometers. Europa, Jupiter’s icy Moon that contains water lakes, is 628 million kilometers away. The Moon offers plenty of challenges, of course. It is cold, around -183 degrees at night. It’s low gravity could negatively impact humans’ health. It has not atmosphere, meaning radiation is a constant. Nevertheless, the Moon is also very rich in many key materials that we can use on Earth and in making space-based objects such as space satellites, communications relays, elevators, slingshots, or stations; not to mention to build Moon bases. 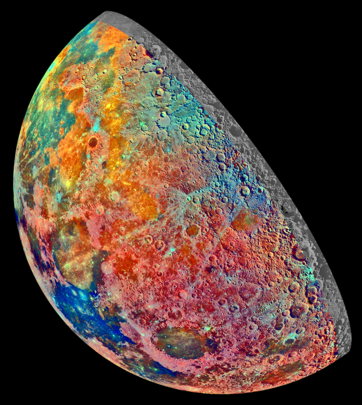 The Moon is known to have helium 3, iron, thorium, uranium, oxygen, and is suspected to also have ice in its north and south pole caps- meaning water. All this means that identifying and extracting lunar resources will probably happen within this century. The key point, however, is that this will all be done by controlled, and later on, automated, robots. Small robots at first will set up the basic bases, which will probably be sponsored by various individual countries such as China, India, Russia, the U.S., and possibly others. These robots will explore and establish the basic infrastructure for future robotic bases. Next, major missions, which will be very costly, will be sent to the Moon carrying larger, smarter, robots and, most importantly, industrial 3d printers or any future technology that allow low cost, autonomous and large scale mass production. 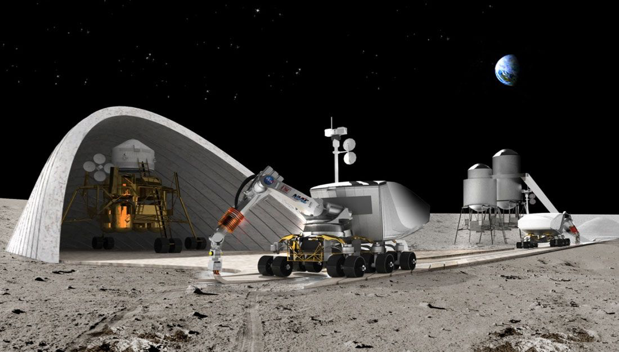 Although it will be costly to set these robot bases up; manufacturing on the moon will actually be much cheaper. This is because the low gravity and lack of friction will make manufacturing much more efficient and require less energy. With a manufacturing base established, the Moon’s surface will begin to have defined outposts, turning into colonies. The Moon receives plenty of sunlight, meaning that building large solar fields will be one of the primary tasks of the robots as they establish this colony. Other activities would include mining, but also the creating of transport highways, allowing robots to travel efficiently. Inevitably, humans may eventually wish to visit the Moon, but they would do so as space tourists and scientists; there only for very short visits and well protected against radiation, heat and cold. They would, however, be welcome by intelligent, automated and responsive robots there to assist them. Perhaps the robots would have already created basic shelter. In the longer term, in centuries to come, it is not unfeasible to believe that the future generation of robots; including Moon-built robots, could dig underground shelters near some of the suspected water sources that would allow for water, oxygen filtration, and solar powered heat generation in caves. This would thus allow, not in this century but much later, for the first truly human habitable bases. However, a key issue would still remain for humans: the long-term effects of the very low gravity of the Moon. It is unclear if living in ultra-low gravity would emaciate bones and create health issues. Well before any such human base; the robots would have achieved greater things by making of the Moon an observation outpost for watching the rest of the solar system and galaxy. The dark side of the Moon, where the Chinese have just landed, would be covered with the best telescopes and radar installation. It would probably be called the quiet side of the Moon by then because all countries on the Moon would agree to observe a radio silence in order to all scientists back on earth to get the best pictures and best radio waves of our universe. And finally, perhaps the most important significance of colonising the Moon will be the construction of launchpads allow robots to send further manned or robotic missions to other objects; especially the promising planets and Moons such as Mars, Europa, Titan, Io. The Moon’s orbiting velocity provides a nature slingshot to other planets. It also has a very low escape velocity requirement due to its lower gravity. This means that for every kilogram of robot and material that is being sent on the Moon would weigh and cost less energy than to lift out of Earth (which also has a relatively thick atmosphere causing friction). 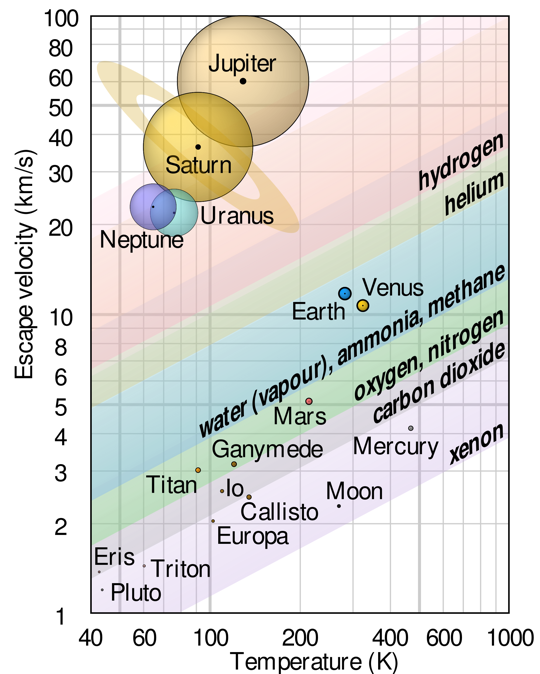 As can be seen in the graph to the right, the Moon’s escape velocity, the speed at which you need to shoot up out of the Moon, is much lower than that needed for Earth. All of this means that the question regarding the Moon’s colonisation is no longer an if, but a when. The initial stages will probably unfold during the second half of this century. But a fuller colonisation and human movements on and through the Moon will probably take a little longer. What is certain is that Moon will have a special place in the exploration of space by humans. We often wonder about the miracle of this planet, which had just the right balance to allow life in all its diversity and glory to appear. However, perhaps the future generations will also wonder at how generous God/the Universal Spirit/The Great Expanse has been to conveniently place a floating space and energy dock next to our planet, allowing us to efficiently move out and see what is out there.